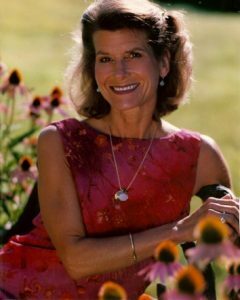 Susan Marie Haack, MD, MA/BE, MA/DIV was taken home to be with her Lord on December 30, 2017. Susan was born in Mankato, MN to Kenneth and Loretta Haack January on 21,1955. She has two siblings, brother Tom Haack of Richmond, Va. and sister Michelle Ray of the Quad Cities. Susan and James Speichinger were married August 24, 1990 and just celebrated their 27th anniversary with a trip to Tahiti. Susan and Spice were partners in their OB-GYN practice in Williamsport, PA for 14 years and again for 10 years in Mauston, WI where they did consultative Gynecology and Surgery. Susan spent a year studying violin at Michigan State University and then transferred to UT where she switched to pre-med. She graduated from The University of Texas Medical School in Galveston and went on to do her OB-Gyn residency at Northwestern University in Chicago. From there she practiced in Lake Forest, IL for a year and then moved to Madison, Wi, where she practiced at the Dean Clinic for two years. Jim and Susan moved to Williamsport, PA in 1989 and established their practice, The Divine Ob-Gyn Associates, and later Haack and Speichinger, PC. After 14 years they moved their practice to Mauston, WI where they were employed by Hess Memorial Hospital and worked together doing Gynecologic surgery for 10 years until Jim’s retirement in 2011. Susan continued to work for an additional three years retiring in 2014. It wasn’t long after Susan retired that she was diagnosed with stage IV cancer. In spite of all this Susan continued to hike, golf, scuba dive, fly, play her violin and teach Sunday school at Cross of Christ Lutheran Church where she was a Ministry Assistant and Stephen’s minister. When talking about her illness she would say “I refuse to allow the fears of tomorrow rob me of the Joys of today”. There was nothing that Susan couldn’t and wouldn’t do, from slalom water skiing to snow skiing to flying airplanes where she was twin engine and instrument rated. Susan loved to read and write and has many published articles and numerous book reviews. She has published extensively in Medical Ethics with the unique perspective given to her from her ministerial background. Susan had a brilliant mind and a servant’s heart, both of which she gave freely. Since moving to Anthem she has touched many hearts and is loved by all those fortunate to know her. Susan will be missed by her husband ( James Speichinger ) three sons, Eric, Steve and Gregg, their wives, Suzanne, Alison, and Anna and by her 6 grandchildren, Kelly, Brad, Max, Amelia, Andrew, and Sam. She is also survived by her brother Tom and his wife Clare and children Sara and Carson, Susan’s sister Michelle and her husband Bill and Michelle’s children Heather ( and husband, Tyler) Jennifer and Christopher. Susan’s mother also survives her and is in memory care in Florida. Funeral services were held at Cross of Christ Church in Anthem, AZ on Saturday, January 6th. Funeral services will also be held in Friendship, WI at 11:30 a.m., Saturday, January 20th, at Roseberry’s Funeral Home. Friends may call at the Roseberry’s on Saturday, January 20th, from 10:00 a.m. until the time of service. Burial will be in Cottonville Cemetery in Friendship, WI. In lieu of flowers, donations to World Vision International (wvi.org) and Compassion International (compassion.com), two of Susan’s favorite charities that she supported for over 25 years, will be appreciated. I first met Dr. Haack when she became my gynecologist. I was surprised to know that she too was a pilot and lived in Adams. Yearly, I would get to talk with her and she was such a very nice and smart lady. Occasionally we would see each other at the airport as we headed out for a flight. I have missed seeing her since her retirement. My condolences to Jim and family. Sending Condolence to Susan husband Spice and family, sorry for your loss you are in my thoughts and prayers. Philomena Kreten Friendship Wi. i will miss visiting when I would meet her on the road during her walks with the dogs She was an amazing person. I thought about trying to fly out for the service but the weather in the Northeast is so iffy this time of year. I was so sorry to hear about Susan’s death. Dr. Haack will be remembered for her outstanding care and concern for her patients. She was a pleasure to work with and has been missed since the day she retired. Prayers go out to her family. We will always have fond memories of her. Dr. Haack was such an amazing lady. She radiated our Lords love and goodness. I am fortune to have had been able to know her. Prayers for peace for Dr. Spice and family. So very sorry to hear of Susan’s passing. She was such a wonderful and talented woman. My favorite church services were when she played the violin. Condolences for your loss, Jim. We were lucky to have Dr. Haack in our community. Many people can learn from her example of what it is to be a good listener. I really “enjoyed”my gynecologist visits with Dr. Haack! She became not only your Doctor, but also a friend! Extreme sympathy to her family and all the people in her very full life. She was a WONDERFUL lady and will be missed by all who had the pleasure of knowing her. My deepest sympathies to her family. Dr. Haack was such a kind and caring person. I really enjoyed having her as a gynecologist. It was bittersweet when I found out she was rrtiring. I send my condolences to her husband and family.